At its concourse of dismissed class-action lawsuits grows, cryptocurrency magnate Ripple will move forward without its general counsel, Brynly Llyr. Ripple Labs came under fire earlier this year while acting as the leading global blockchain solution for enterprise transactions. 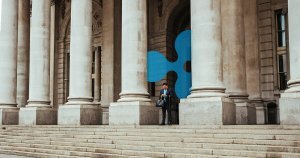 Federal courts were called to investigate allegations against Ripple (XRP) as being a securities platform, which requires government regulation, disclosure and investor accreditation. Investor Ryan Coffey initially sought damages of $25,000 after filing suit in San Francisco on May 3 against XRP II, CEO Brad Garlinghouse and 10 others. 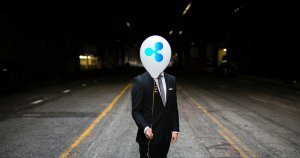 Though the case was eventually dropped by Coffey, he alleged that Ripple acted as a conduit for XRP to create a profit for investors, and by acting as an unregistered security, violated state and federal laws. Coffey’s lawyer, James Taylor-Copeland, specializes in blockchain and cryptocurrency law and posted the full complaint on Twitter. Meanwhile, Llyr secured the top legal role at Ripple in November 2016, utilizing fintech expertise gained at eBay and PayPal as senior director of litigation and senior director of legal counsel, respectively. Her untimely departure could be a subjective indicator that courts are accurate in their quest to pursue XRP registration. However, the corporation continues to build on its legal foundation by retaining former U.S. Securities and Exchange Commission chair Mary Jo White and director of enforcement Ceresney. The SEC recognizes the multi-billion dollar cryptocurrency industry to be an unregulated risk. The anonymity of shareholders invites the risk of liability, creating a daisy-chain of untraceable issuers. The company has previously alerted account users of potentially fraudulent accounts under the guise of its namesake. Ripple specializes in liquidity on demand in real-time, which allows banks to forego the step of pre-funding nostro accounts. Earlier this year, Ripple was accused of making illegal profits by fraudulent promotions, as per previous CryptoSlate reports. Ripple’s head of corporate communications Tom Channick, however, maintains that regardless of any ongoing SEC speculation, XRP should not be classified as a security. The full complaint was uploaded by CoinDesk and can be found here. The post Top Legal Counsel for Ripple Exits Amid Continuing Security Controversy appeared first on CryptoSlate.